Kaleidoscope: Art and Nature on Wheels is a mobile education program for Kettering youth. 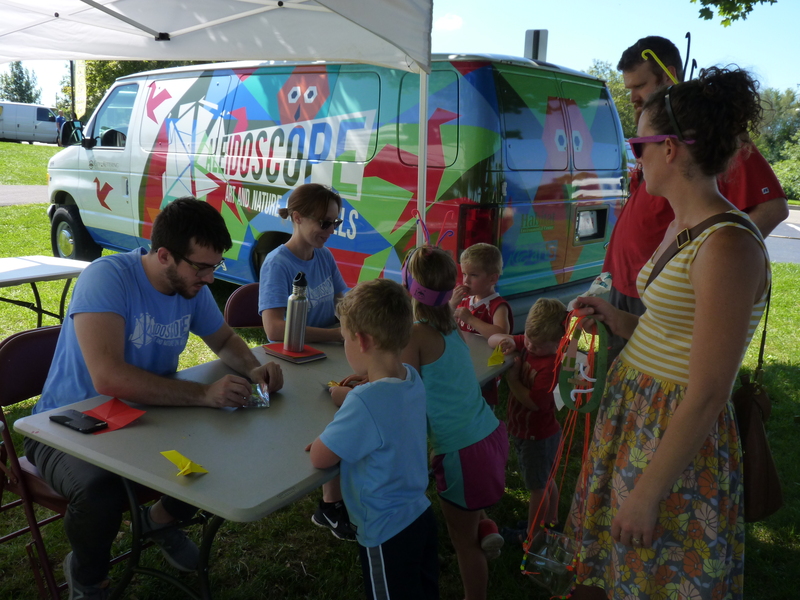 Launched in 2017, Kaleidoscope brings a specially outfitted van to parks and community events, offering free access to inspiring art activities. Kaleidoscope’s creative projects, taught through the lens of science, strive to deepen participants’ understanding of the connections between art and nature. We are bringing dynamic, meaningful and fun experiences in art and nature to you! Our mobile education program – Kaleidoscope: Art and Nature on Wheels – will encourage inspiration, creativity and learning in the non-traditional setting of your neighborhood parks. Preregistration for each camp is required, as well as participation in a pre- and post-camp survey. Please meet at the park shelter. Pre-register for one or more camps on our registration site or call (937) 296-0294. Camp REGISTRATION BEGINS on April 1 for residents! Plus, look for Kaleidoscope at some of our upcoming events including HoneyFest and Art on the Commons! Follow Kaleidoscope on our Facebook page (PlayKettering)! New in 2019, Kaleidoscope will “pop-up” at Kettering locations and parks for unregistered free mini-programs that will both entertain and educate. Stay tuned for more information. Kaleidoscope is a joint initiative of Rosewood Arts Centre and the Habitat Environmental Center and supported in part by the City of Kettering, the Kettering Parks Foundation, and the Community Foundation for Kettering. The Kaleidoscope van can also travel to your event and location! It can be reserved for after-school activities, parties and pop-up events. Call 296-0294 for more information. Support for Kaleidoscope is provided by the City of Kettering, the Kettering Parks Foundation and the Community Fund for Kettering.